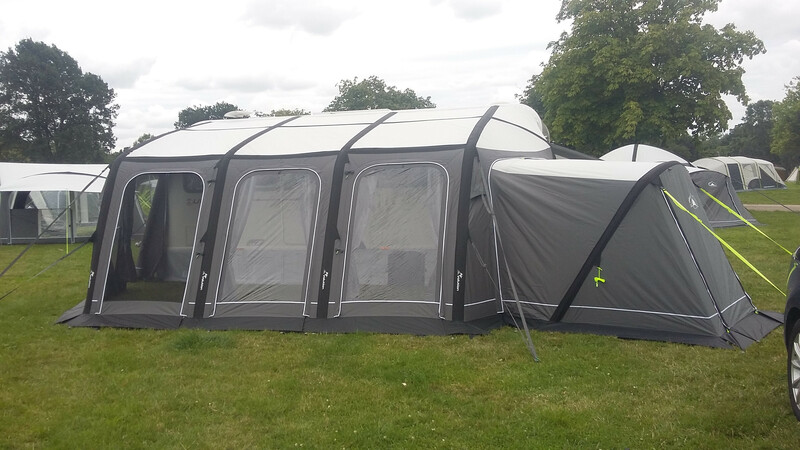 Sunncamp brings us the very first inflatable full awning for caravans. 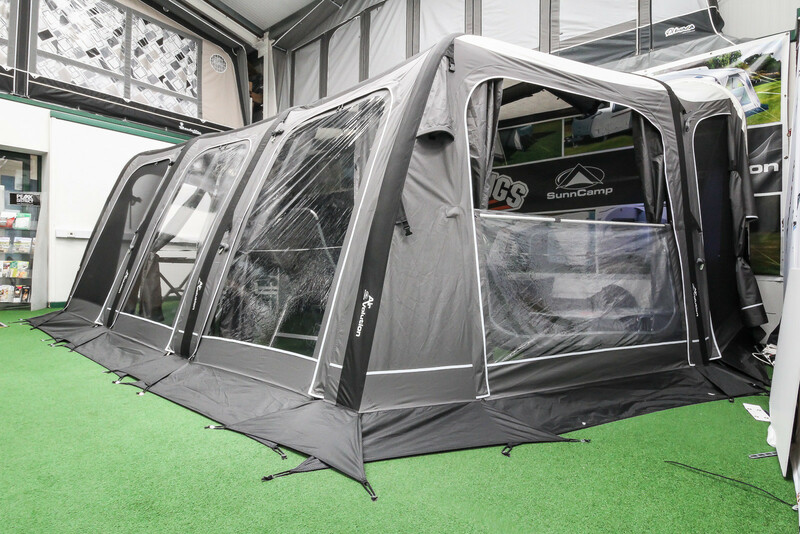 The revolutionary new Icon Air awning offers style, luxury and all the space that a full awning brings but with the benefits of an inflatable air awning. The Icon Air is available in sizes 825cm to 1100cm and with a large depth of 325cm there is lots of space to relax and enjoy time with friends and family. 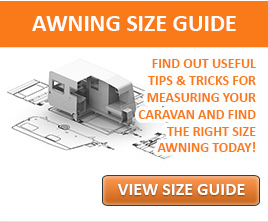 Sunncamp has used their 300 denier Pro-Tek material to create the Icon Air full caravan awning. This high quality fabric provides the awning with excellent durability, longevity and with a hydrostatic head of 6000mm also provides protection against the outside elements. 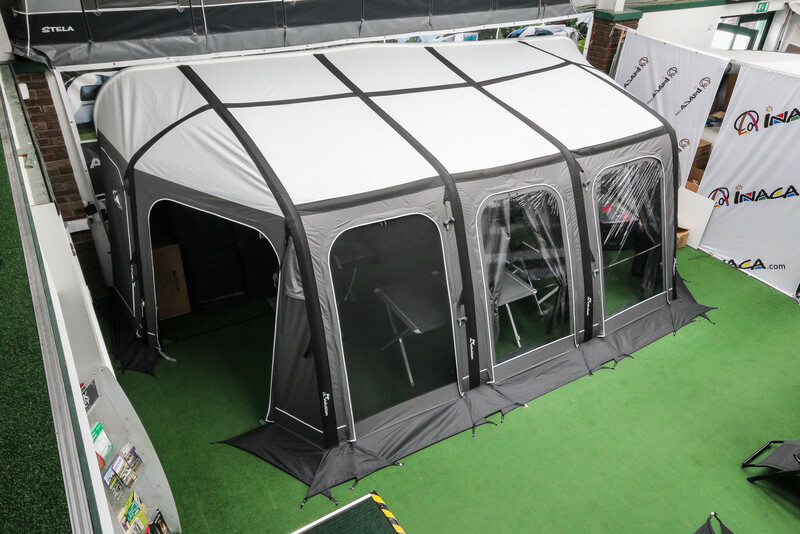 This full caravan awning also features an external peggable mud wall for even more weather protection. The Icon Air awning is inflated using the hand pump provided through a single inflation point meaning there is no need to inflate each tube individually. Once inflated, the air tubes are robust and keep the Icon Air awning stable. You can use the storm buckles and straps for extra security in poorer weather. 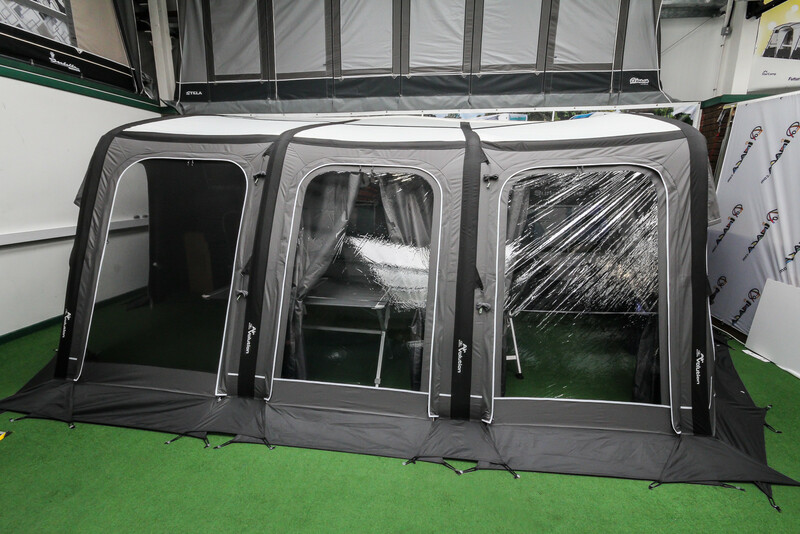 Panoramic views can be enjoyed from inside the Icon Air inflatable awning; the large, clear windows ensure a bright and airy environment and each of them include curtains for extra privacy. Each of the side panels are removable and can be replaced with an annex or either or both sides, a great way to create some extra space for sleeping or storage.